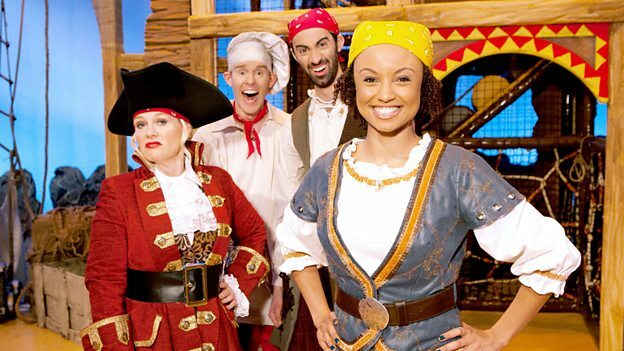 Join Gem’s daring Swashbucklers as they attempt to win back her jewels from the naughty pirates Cook, Line and Captain Sinker, in this hilarious and fast-paced physical gameshow. Today’s Swashbucklers, Scarlet, AJ, Grace and Theo, take on the Stepping Stones and Swashbubbles in pursuit of Gem’s jewels. This special Christmas episode sees the Scarlet Squid shipwreck bedecked in seaweed garlands and fishbone snowflakes decorations.